Michael Scott Morton responded by email to six questions from Dan Power, DSSResources.com editor, about his past involvement with computerized decision support systems and his current perspective on the issues that need to be addressed. Scott Morton's Response: Time sharing computing had just become available to me as a student at Carnegie-Mellon University (Carnegie Institute of Technology as it then was) in 1959. The whole concept of putting computing power in the hands of the user was exciting. It represented to me a potentially powerful new tool for humans to use in their work. At the time I was working on several projects for my Professors (Herb Simon and Hal Leavit) which got me exposed to research on human decision processes. When several years later (1964) I was doing my doctorate at the Harvard Business School, the Professor (John Dearden) for whom I as a teaching assistant, wrote an article in the Harvard Business Review with which I strongly disagreed. In essence it said managers cannot/will not/should not ever use computers or computer terminals for any management purpose whatsoever. The combination of a new technology, the concepts of two professors and my visceral reaction to what I perceived to be an inaccurate assessment of the future led to my lifelong interest in the area. Scott Morton's Response: I would say they are two. In the first place I built an early (1965, perhaps the first) DSS to be used by line managers in the course of their regular decision making on a significant monthly task. It was an experimental and very expensive system, but it did establish the fact that a new era for management had begun, that of using information technology (computers, communications and data bases) as an ACTIVE part of a decision process. I was able to find a company (Westinghouse) with a potential research setting, the creation of their monthly production schedule for their washing machines and dryers. It involved three managers, production manager, marketing manager and Division president. They were willing to support the research as the decision had major financial implications for the Division and doing a better job meant better profitability. So even though it was risky and purely in the research phase, the company invested. My second contribution was that my research did establish clearly the fact that for the correct class of decisions computerized systems could have a major beneficial impact on both the decisions and the decision processes of managers. Beyond this it showed some data base design principals and some interactive screen presentation techniques that were effective for this class of �semi-structured" tasks. The equipment was a Univac 494 (with fixed word length! ), a random access drum and an interactive 36 inch CRT with lightpen and keyboard. The interactive software design and the hardware combination was unique. My doctoral dissertation (Harvard Business School, June 1967) was also published by the Harvard Business School Press as the book "Management Decision Systems" in 1971. Scott Morton's Response: I think my principal motivation was to look for ways in which Information Technology could improve the effectiveness of management, in this instance, the line managers of a Fortune 100 company. More generally I was fascinated by the challenge of trying to help improve the ability of humans to deal with complex mental tasks. Scott Morton's Response: During the dissertation experiment there were three key people; Professors Herbert Simon (CMU) and Jim Mckenney (HBS) and then Frank Carr, Director of the Westinghouse Information Systems laboratory in Pittsburgh. Frank was an early supporter of computer use in management situations. At MIT in 1966, it was Professors Don Carroll, Tony Gorry and Dave Ness with whom I had the most interaction, as well as useful conversations with Professors Glen Urban and John Little. As John Little and Glen Urban had started a company (Management Decision Systems) to analyze market research data with interactive algorithms, I decided to change my terminology to Decision Support Systems, which broadened the concept to make it clearer that it was applicable to all humans, not just managers. 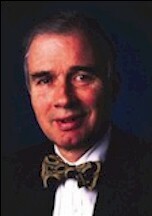 My first doctoral student (Tom Gerrity) in 1968 added greatly to the theoretical and empirical base of DSS. When he finished he joined the Sloan faculty before leaving to found a company (Index Systems) which was one of the earliest to focus on providing DSS for companies. Tom eventually went on to become Dean of the Wharton school. By 1975, I began a fruitful collaboration with a colleague Peter Keen which resulted in the book Decision Support Systems (Addison Wesley, 1978). Peter�s multifaceted talents led me deeper into the human and organizational sides of DSS and ultimately, years later, into Corporate Strategy. Scott Morton's Response: My major conclusions are two. The first is how slow we humans are to change our routines and organizations, despite evidence there are better ways of doing things. Secondly, I am increasingly struck by the relatively ineffective link between business schools/business research and the realization of better ways of doing things in the �real� world we all live and work in. It takes a very long time for good ideas (in all fields, not just computers and management) to be adopted and to have an impact on our performance. The American (let alone British) automobile industry is a case in point. The so-called Japanese production methods (developed in part by Americans) were well known early on. Yet it took over 30 years and near bankruptcy before the American firms woke up. DSS is similar, the ideas and concepts were developing in the early 1970�s, the technology became widely available at reasonable cost in the 1980�s and in 2008 are rarely used effectively. When they are, there are huge beneficial impacts; indeed some firms could not exist without them. Scott Morton's Response: The general unresolved issue I see is one of understanding the management of change. Without a better understanding of this it is hard to implement and learn from DSS applications. As an engineer trained in the technology it took me a while to understand that the hard problems lie in the �soft� domains of management and of human behaviour, not in the hardware and software. More particularly, there is the still poorly understood shifting boundary between what computers can do well and what humans can do well. This has major implications for the relevant application set for DSS and therefore their successful use in organizations. Dr. Scott Morton is the Jay W. Forrester Professor of Management (Emeritus) at Massachusetts Institute of Technology Sloan School of Management. He was most recently involved with CMI, a joint venture between Cambridge University and MIT. Professor Scott Morton studied engineering at Glasgow University before moving to the USA and completing his undergraduate education at Carnegie Mellon University. After working in the computer field he obtained his doctorate at the Harvard Business School. He joined the faculty of MIT 1966, initially in the fields of Information and Control Systems. From 1976-1981 he served as the Deputy Dean of the Sloan School and in 1981 began research and teaching in the area of Corporate Strategy with a particular focus on the impact of technology on organizations.. He has authored or co-authored 8 books and numerous articles. Dr. Scott Morton has been involved in founding three companies and currently serves as Board member of the Met Life Series funds. He has previously served as non-executive Director on the main boards of: Index Systems, Emhart Corporation, ICL Plc., Sequent Computer Systems, Genrad Corporation, Merrill Corporation. His formal not for profit activities include: Governor of the Handel & Haydn Society, Vice Chairman of the National Trust for Scotland Foundation, a member of the Court of Glasgow University and a board member of the Scottish Institute for Enterprise. He is married with two children and four grandchildren and shares his time between homes in Boston and in Appin, Argyll. Keen, P. G. W. and M. S. Scott Morton, Decision Support Systems: An Organizational Perspective. Reading, MA: Addison-Wesley, 1978. Scott Morton, M. S. and J. A. Stephens, �The impact of interactive visual display systems on the management planning process,� IFIP Congress, 2, 1968, 1178-1184. Michael S. Scott Morton Reflections, DSSResources.COM, 09/28/2007. Michael Scott Morton's responses were received September 18, 2007.